Plastic Pail - 2.5 gal. 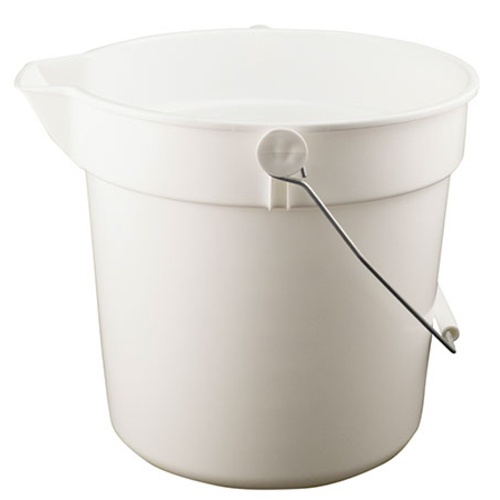 Our 10 quart pail with metal handle is ideal for use when crushing and pressing grapes during winemaking. Also super handy to have on hand for general usage. Molded in pour spout allows or easy transferring, and molded volume markers on the inside of the pail make measuring easy. It is small enough to fit under the spout of a grape press to collect pressed must, or for transferring grapes or fruit.